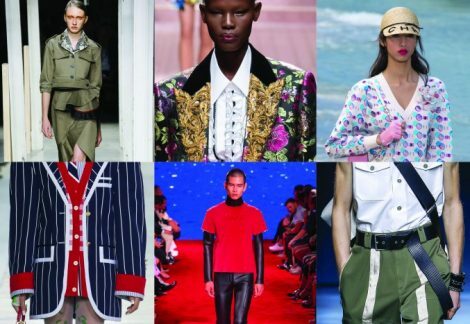 The SS19 collections in London, New York, Paris, and Milan were awash with inspiration as always. 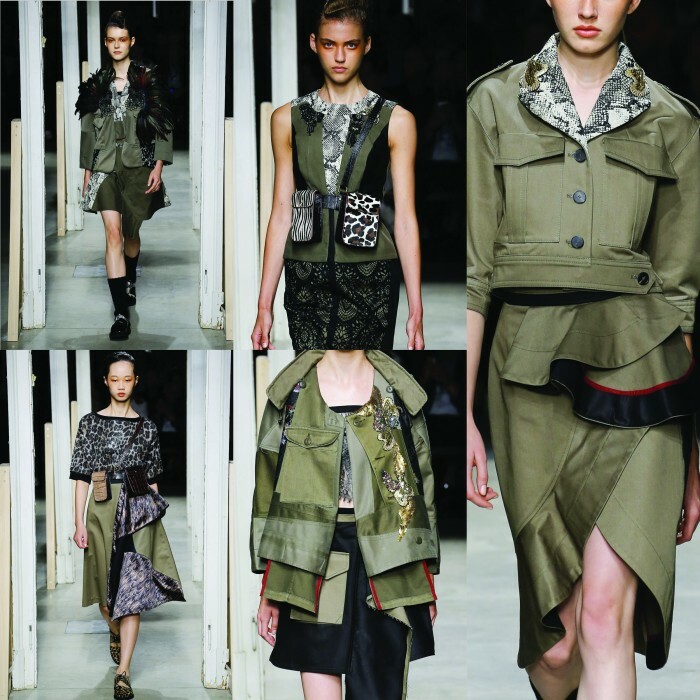 We monitor the shows throughout the catwalk season to look for trends. 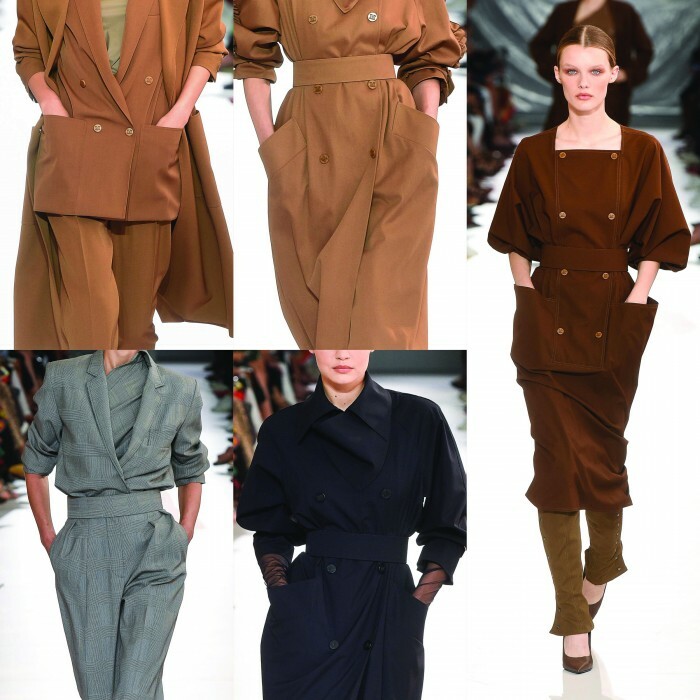 We often take inspiration directly from the catwalks for our bespoke uniform designs; in turn, fashion designers are forever influenced by uniform and workwear. The utilitarian style was a big trend throughout these collections and different designers transform the silhouette in different ways. 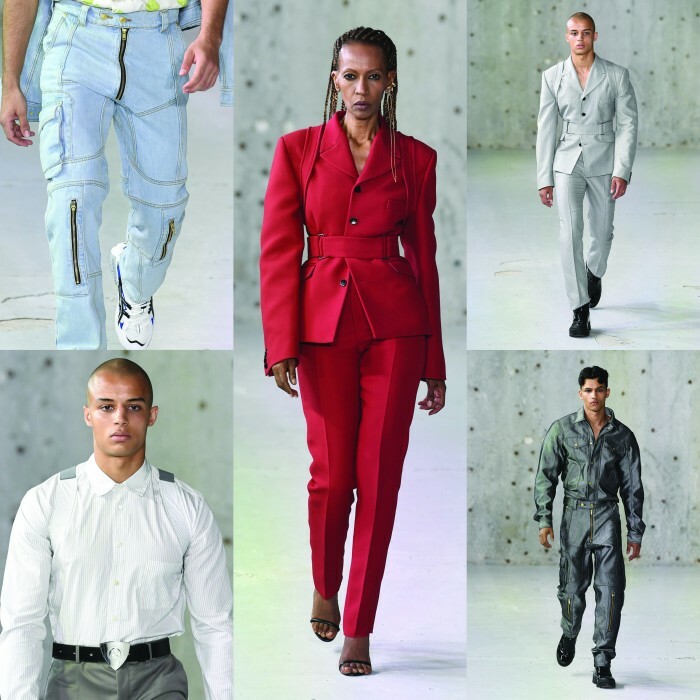 Interestingly, as more designers and fashion houses choose to show womenswear and menswear side by side, the lines between the two become even more blurred. 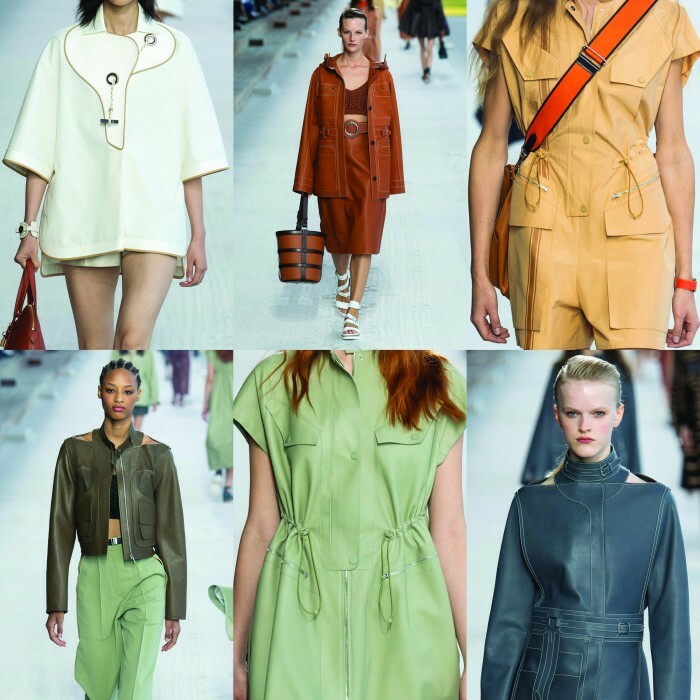 This is especially the case with utilitarian fashion, which was a big theme this season. In addition, patchwork seems huge, with clashing prints and textures galore. There was a sea of national flags and cultural references, questioning what it means to be patriotic these days; inevitable given the current global political climate. 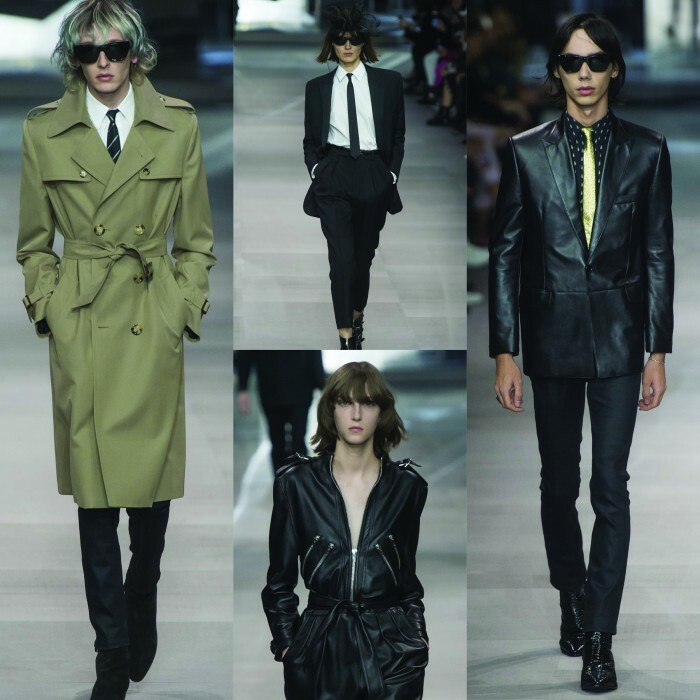 Fashion master Raf Simons chose film as his inspiration this season, looking to Steven Speilberg’s 1975 and Mike Nichols The Graduate. 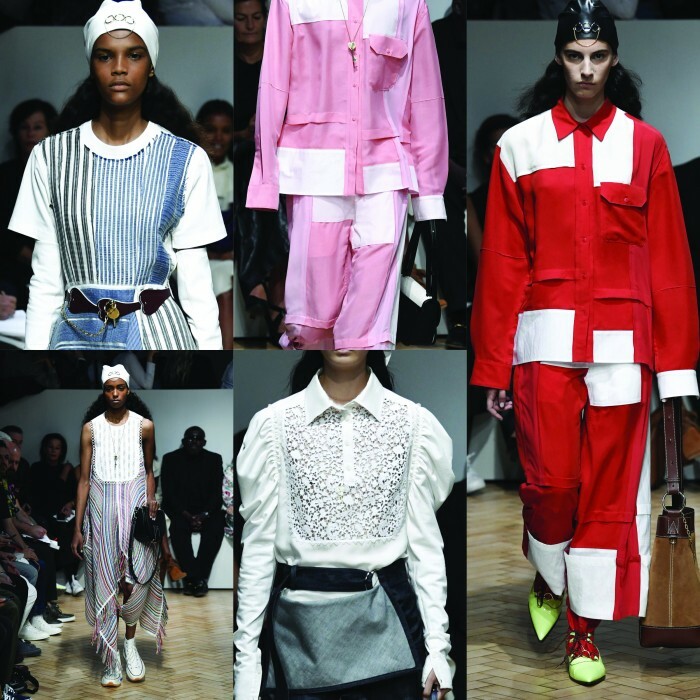 Thrillingly, this brought in uniforms synonymous with the films, through neoprene creations and intriguing mortarboards; the former used to create skintight vests and trousers, complete with a spritz of water, the latter paired with graduation gowns. 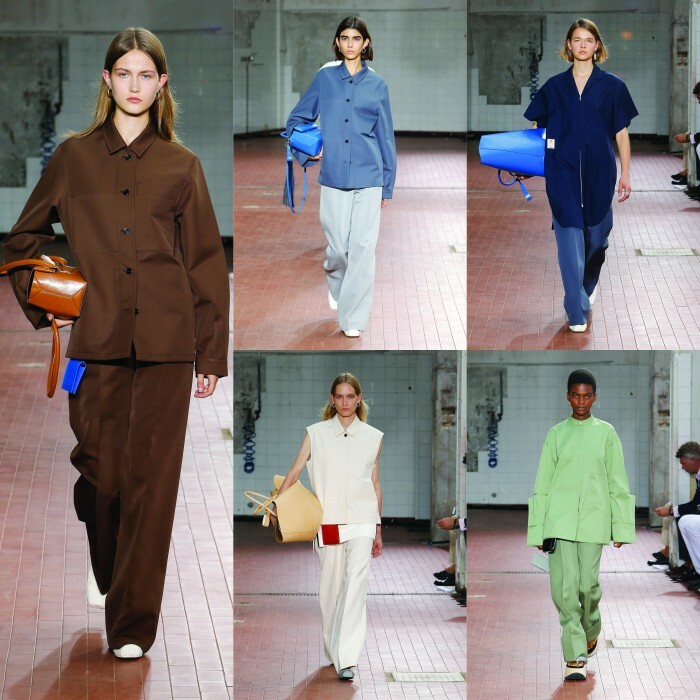 Said cultural references were to be found at the Vetements SS19 show. 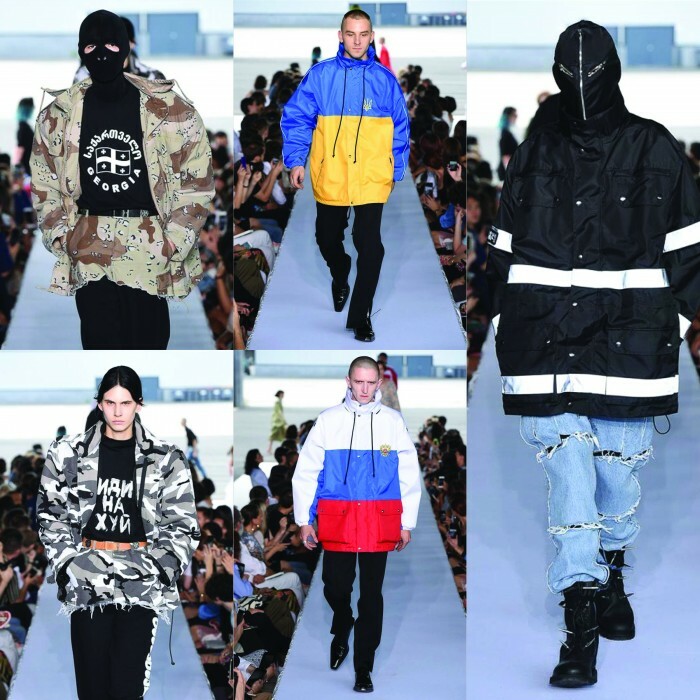 Oversized jackets were transformed into the national flags of Russia, the Ukraine, the United States, and Georgia, where designer Demna Gvasalia was born. There, he witnessed traumatic conflict, which this show seemed to represent. Army uniforms and camouflage also featured heavily in this heady, somewhat disturbing mix of global topics. We’re always drawn to GmbH’s futuristic shows and SS19’s offering was no exception. With a focus on menswear tailoring married with sharp cuts for women, this was a truly standout collection. The women were strong in powerful, rigid two-piece suits; the men evoked FBI agents with shield-shaped belt buckles, jumpsuits and denim combat pants. 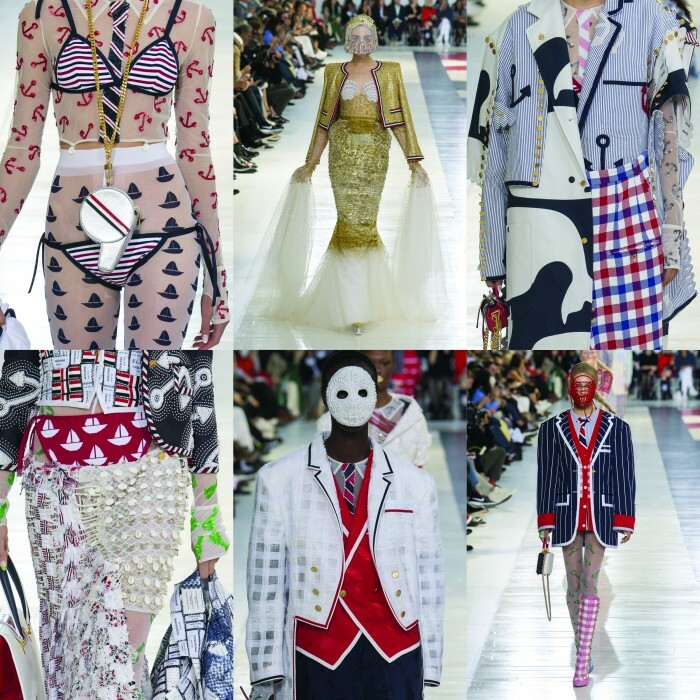 Once again, Thom Browne roused audiences with his ethereal collection of sea goddesses, stemming from seafaring inspiration. A medley of sailor references, from anchors to stripes, were combined with rigid pinstripe tailoring. There were patchworks aplenty, too. 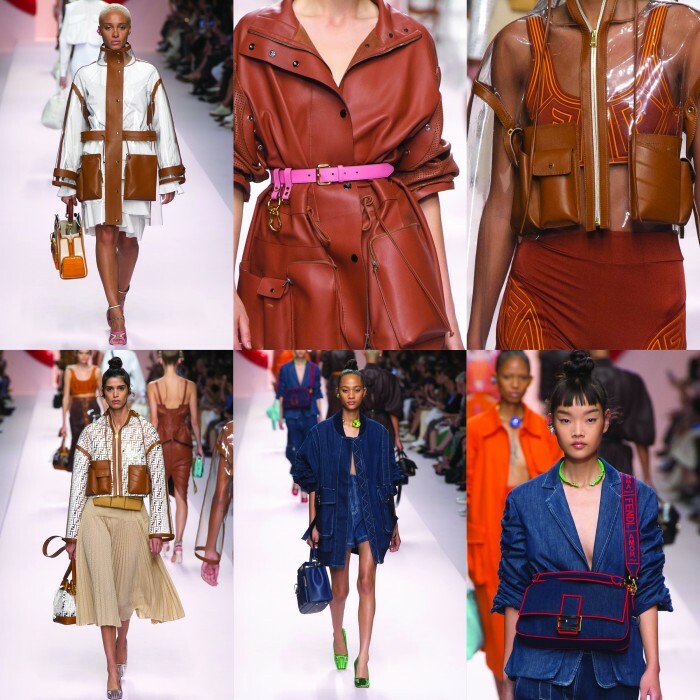 Fendi’s manipulation of materials is second to none; the combination of rich tan leather and denim had our pulses racing here in the studio. We love the haphazard pocket placement on stylish coats, fusing utility with a sports-luxe aesthetic. Tea dresses in a gingham tabard-esque cloth were on offer at Molly Goddard. We love this playful fusion of midecentury references; the pinafore straps of the dresses reveling in this bygone era. Black contrasting frills added definition and a clever MG monogram was stitched into the designs. 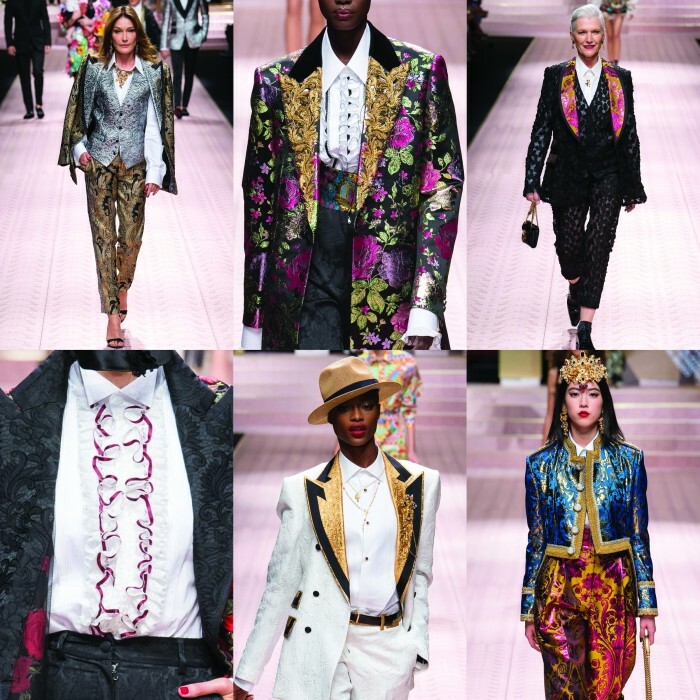 Kings (or queens) of the Renaissance revival Dolce & Gabbana presented a whopping 150 looks for their celebratory collection in Milan. A feast of famous faces graced the catwalk, but it was the tailoring that caught our eye. Still enamoured by the recent Heavenly Bodies exhibition at The Met in New York, we were thrilled to see some ecclesiastical nods in this show. 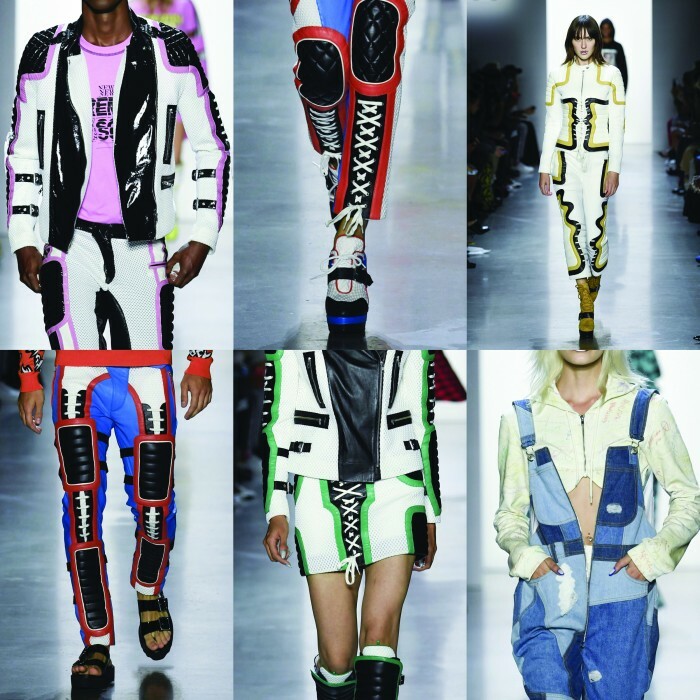 A man who mixes uniforms into all his collections, Jeremy Scott looked to a variety of sports kit for his SS19 show. 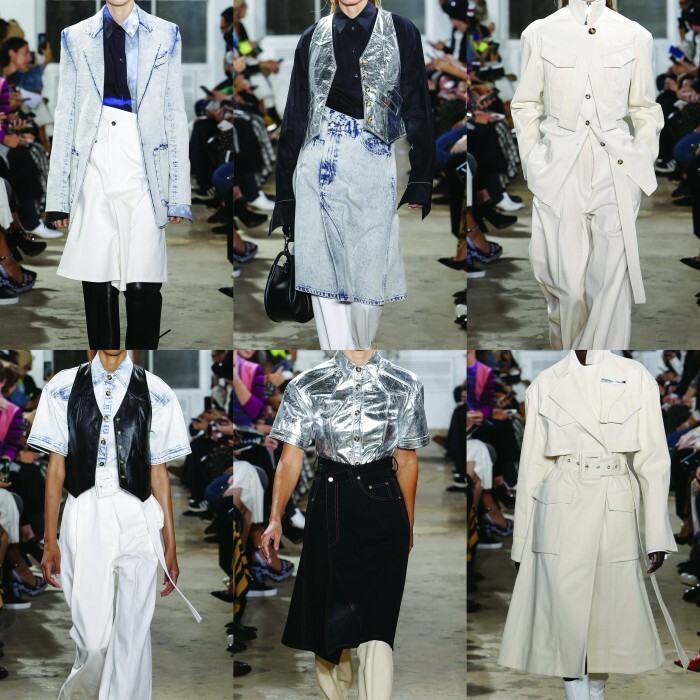 Vibrant leather and mesh pieces dominated the catwalk, with NBA logos thrown into the mix, as well as some intriguing denim patchwork dungarees. Less ostentatious, but no less inspiring, was the simple workwear at Officine Générale. Pierre Mahéo’s inimitable Parisian brand celebrates the ‘beautiful normal’ with a range of stylish separates in a variety of wearable fabrics. 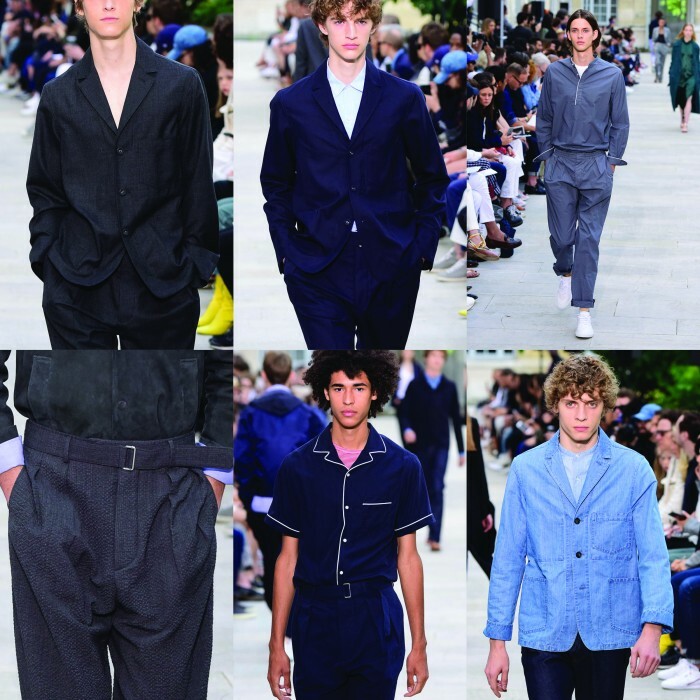 We particularly like the pyjama-like shirt with white piping, and the deep grey jumpsuits, bringing together subtle uniform references.